In this Easy Intern Assignment we are going to learn how to use Facebook Groups to create personal relationships with like-minded groups of people. This Easy Intern Assignment will help you build rapport with others interested in your product or service to ultimately drive sales. The main reason to have a Facebook Group is that you can directly reach your members via email through updates. 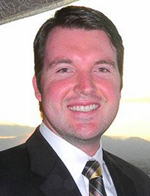 Scott Bradley is a Rapid Results Marketer who helps entrepreneurs quickly generate loyal paying customers using the web and other innovative technologies. Scott Bradley is the founder of Rapid Results Marketing Group LLC which helps entrepreneurs quickly generate loyal paying customers using the web. As a direct response marketer, speaker and social media strategist, he has worked with New York Times best selling authors, and has successfully helped clients increase their direct-to-consumer sales by over 50%.